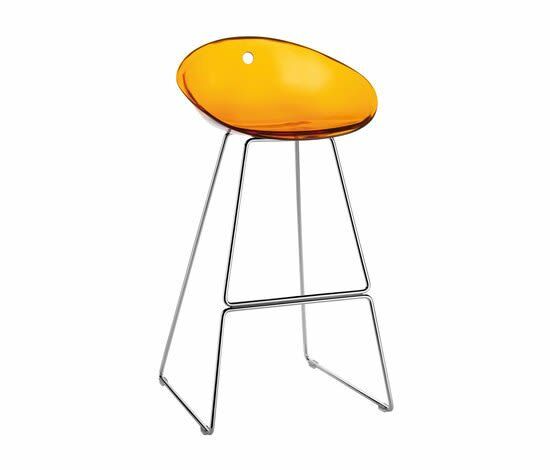 Gliss barstool with transparent acrylic shell. Ø11mm chromed steel rod frame. Height 800mm.